The Bretford E6 6-Outlet Electrical Assembly is compatible with all Bretford A/V and TV carts. It attaches to the top using the pre-drilled holes on the carts. It includes a built-in cord winder. This powerful unit allows you to connect many electrical units to the system. It easily mounts to the unit using pre-drilled holes. The built-in surge protection guards against accidental burn-outs. 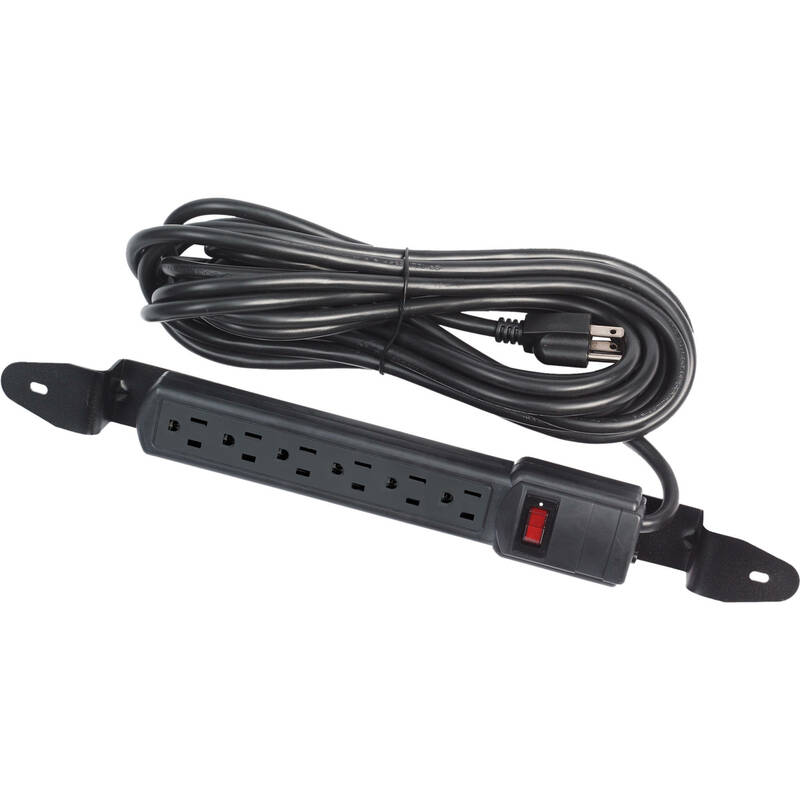 Box Dimensions (LxWxH) 6.6 x 3.4 x 0.9"
E6 6-Outlet Electrical Assembly with 20' Power Cord is rated 4.0 out of 5 by 3. Rated 2 out of 5 by John from product defective I have called B & H Photo regarding this product being defective and not working. When the power cord is plugged in and turned on the "red light" comes on but "NO POWER" to the strip. All electrical items plugged into the strip are not getting power. For a return and exchange of this item, B & H Photo has said that the manufacturer will be in touch by email. Current to date, I haven't heard from the manufacturer and would like prompt attention in this matter as this product is very much needed. Rated 5 out of 5 by Dnone from Perfect for all Bretford TV carts I wasn't sure what electrical cord to get, but after emailing Bretford directly found that my cart (FP60MUL-P5BK) and all current Bretford TV carts work perfectly with the E-6. The 20' cord is perfect too and appears to be VERY durable! Rated 5 out of 5 by Mark from Just what I needed. Excellent service and timely delivery.